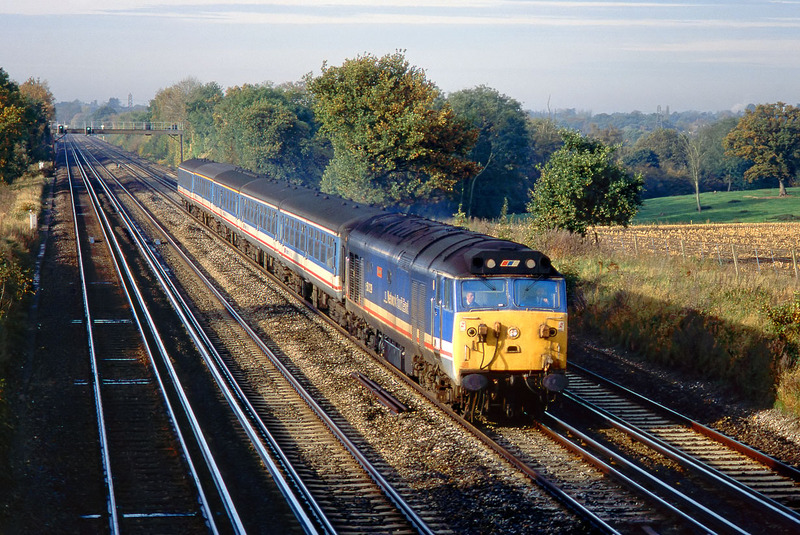 50029 Renown passes Potbridge on 6 November 1991 with the 1O32 07:50 Yeovil Junction to Waterloo Network SouthEast service. This location was visited many times during 1991, as it offered uninterrupted views in both directions and was not unduly shaded by trees. The main focus of interest during 1991 was the diminishing fleet of Class 50s, but there were also occasional Class 33s, and of course a constant procession of slam door EMUs.